It comes to my attention that a politician from Russia has established the “Imperial Throne” (Императорский Престол), through which he seeks to establish a sovereign state on 3 inhibited islands in the Republic of Kiribati in the central Pacific Ocean. He seeks to re-instate the Russian empire and to restore monarchy. 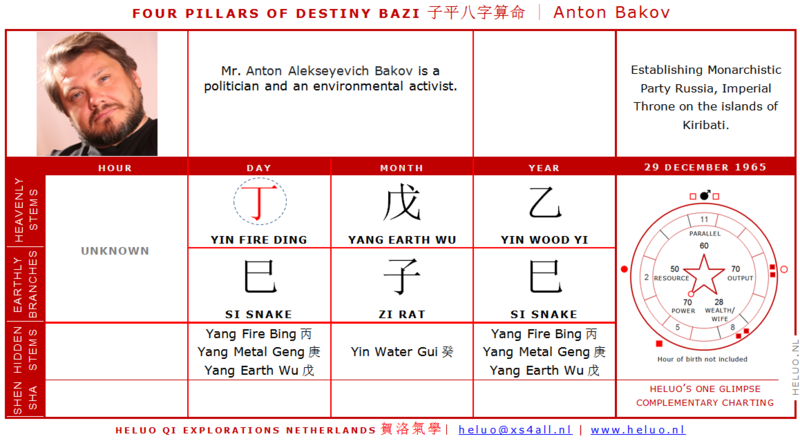 Initially set out as a micronation, then a sovereign state, I thought that this was remarkable enough, to take a quick glance at his Nine Star Ki Astrology (Девять Звёзд Ки) birth map and his Four Pillars of Destiny Bazi (Карта Четыре столпа судьбы Ба Цзы) birth chart in Chinese Astrology. It is former State Duma deputy and environmental activist Mr. Anton Alekseyevich Bakov. Through establishing the Monarchistic Party of the Russian Federation (Монархическая партия России) and the Imperial Throne, he seeks to re-instate the House of Romanov (Фамилия Романовы) on the imperial throne, headed by the heir of the House of Romanov Nicholas III. He is the author of ‘Democracy in Russia’ (Демократия по-русски), a manifest in which he promotes a Constitutional Monarchy in the ‘Russian Empire’ (Российская империя). I’d be much interested in seeing the person, then planning and strategy involved in such a notable initiative. Because the wrong timing can obstruct even our greatest dream and our best initiatives, whereas good timing can have us achieve immensely, we will discuss his 9 Star Ki Divination prospects for 2017 and the year after, as well as we will look at his character and prospects through his Four Pillars of Destiny Bazi birth chart in Chinese Astrology. 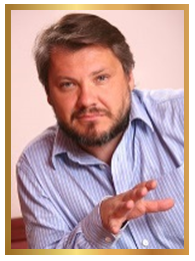 Mr. Anton Alekseyevich Bakov [Антон Алексеевич Баков] was born on 29 December 1965, which makes him 8.1.3 in Nine Star Ki Japanese Astrology. Year Star: Star 8 for Gen Mountain Trigram. Month Star: Star 1 for Kan Water Trigram. Day Star: Star 3 for Zhen Thunder Trigram. 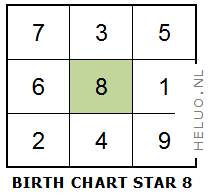 His Star 8 temperament in 9 Star Ki is notably steady and in being a revolutionary. Once something arouses their interest, Star 8 natives can spend time infinitely just painstakenly researching into every detail, until ‘got everything just right’. We see that political awareness runs deep in the family, as his daughter Anastasiya Bakova (9.2.3 in Nine Star Ki) and besides a trained singer and actress, is also active in politics, just as is her brother Michael Bakov (7.3.9). Star 8 people can be often scientists or prominent politicians. Many are known to be industrialists just the same. Inner drive and motive of Star 8 is to be erudite, knowledgeable, with a certain accentuation on family life (семья), homestead. They can go into retreat and live in solitude for remarkably long stretches of time. Inner drive and motive of Star 1 may be on becoming famous, the deployment of one’s fame. Also, an evolved capacity to control the media, or to raise public awareness, such as in public relations or to campaign for a good cause. Star 1, however, can go about this ‘publicly’ and ‘in plain sight for everyone to see’, while he may be a master at going about this utterly stealthily. His Star 1 for month of birth can render him utterly silent and abysmal for over long periods of time, which can make it hard – if not virtually undoable – for others to ‘scan’ him and to know his most inner self. He can be very private about things, even in front of his loved ones, and he can spend time in utter solitude, longer than most others would know how to endure. Our third Star may carry information as to our aspirations, more notably how others may perceive us upon meeting us for the first time. His third Star 3 for day of birth makes him into a humorous and extroverted (jovial) person, while we may come of the impression that he can be impulsive. Nothing will be farther from the truth, as his Star 8 makes him thoroughgoing, what’s more, unshakable, steadfast, unwavering, while everything will be instead driven by scholarly approach and deep scrutinization. His ideas will be thoroughly researched and documented – even as a child -, so he has a strong case. However much he may appear to be readily approachable and easy going, Star 8 tells us that he’ll be on an expedition – and goal oriented – at all times, even if ‘informally’ he is among peers around a table in a dacha (дача) to eat pelmeni and drink Vodka. It is not likely that we would catch him off guard, as he’ll be on a mission incessantly. His Four Pillars of Destiny Bazi day sign gives the Heavenly Stem of Yin Fire Ding 丁 for Day Master, to represent the person. Everything else in the Bazi birth chart then revolves around Day Master Ding Fire. Due to the month of birth Zi Rat 子, Day Master Yin Fire appears at Life Stage 11. This would in itself have us prefer strengthening elements to come in as we further assess the birth chart. As time of birth is unknown, it remains uncertain if such elements would have been carried by the hour of birth, to further strengthen Day Master and give him back charisma. The annual Pillar for the birth year 1965 gives Yin Wood Si Snake 乙巳. Yin Wood 乙 denotes ‘Resourse’ and it signifies education, support(ers) for a Fire Day Master. Day Master may ‘signal’ what is in the year signs, predominantly, so that upon meeting Day Master for the first time, it becomes apparent that he has a strong background in education, and that he can be relied upon as a mentor, as a source of information (an instructor) or even as a life coach. Si Snake 巳 can aim for goals, while intelligently knowing how to inspire people and how to set them to work to accomplish his goal, but without them being altogether aware of it. The hour of birth is unknown, which means that life reading may be hampered, but still possible. Time of birth, however, is critical, as it can in fact change chart style, so that this would greatly alter the life reading. Until time of birth known, we will treat this chart as a ‘Power’ style chart, albeit leaning ‘Wealth’ type chart. It is an ‘Unbecoming Power’ chart (as opposed to ‘Proper Power’), which is indicative for a strongly autonomous, competitive, largely self-made and highly ambitious person, who is always ready to self-improve and pick up the glove in face of any challenge. ‘Self-achiever’ would be another good association. He is a pioneer, with revolutionary ambitions. Wuxing Five Elements have it that ‘Wood engenders Fire’, so that the year Stem Yi Wood 乙 renders support to our Yin Fire Ding 丁 Day Master, but it doesn’t come easy, as it is ‘Unbecoming Resource’ (as opposed to Yang Wood Jia 甲 which would have been ‘Proper Resourse’). Outside this, the Wood Resource appears ‘remote’ in the year Pillar, in that, Day Master would find support(ers) farther away from where he resides, notably in a foreign country. This may also indicate, that mr. Bakov doesn’t feel altogether ‘at home’ where he lives. He may not be in one place too long, as often he may experience a sense of being ‘home sick’, in search of ‘place else’ and ‘better pastures’. The point with this Bazi is – just as we saw with Nelson Mandela -, that Day Master Yin Fire Ding is being shouldered by Yang Earth Wu 戊 for ‘Output’, which would reduce to one’s production, how one expresses himself. The critical observation here being that, Yang Earth is ‘Drastic Output’ (as opposed to Yin Earth Ji 己, which would have been Gracious Output), so that Day Master likes to stir up the pot and be a bit unconfessional about things. Mr. Nelson Mandela was jailed, arguably because the Drastic Output in his chart came adjacent to his Power element, which fortunately is not the case with mr. Bakov. Nonetheless, this is a point of interest, as he may find himself caught up in ‘catch 22’ situations easily from which it may be hard to break free. If he stirs up the pot a bit too eagerly or at the wrong time, this may be perceived as ‘challenging’, then it may lead to dispute, while there can be issues with authorities, and Day Master should take care not to aggravate in politics. 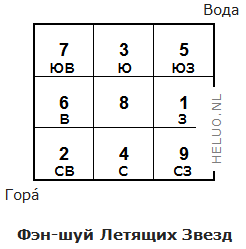 In fact, if mr. Bakov had never been imprisoned, he would be the first to admit that in itself that’s ‘amazing’, as, while looking at chart dynamics and if you would ask him over a glass, he would probably laughingly affirm that somehow ‘trouble’ with authorities may be ‘always in the air’ and that it’s a miracle that not he’d have been jailed. This, actually, is a tension that we may often see in revolutionary men and pioneers. If he knows how to present his plans, while he minds ‘diplomacy’, he may accomplish fairly easily, and reap support from others as they find him less intimidating. Such a tension between month Stem and year Stem reminds me of similar chart dynamics that I had seen with a client, who was a real estate billionaire and leader of a major world religion in Moscow. I stayed in his house as his consultant for 5 days, and at one point as I was gazing onto his Bazi birth chart looking at his year signs, I asked if perhaps he had ever been prosecuted or jailed. Instead, he said that his father was a prison director. Still, we want to achieve our goals, so we may use our birth chart to look for the right moment to ‘advance’, then the right moment to withdraw or perhaps postpone. This birth chart in fact promotes the aspect of ‘not what it seems’ all across, in the year Pillar for ‘Country’, in the month Pillar for ‘Parents’ and in the day Pillar for ‘Marriage’. This aspect is our own discovery in Bazi after researching many charts with the same dynamic. It basically indicates that matters may not run ‘parralel’ in the appointed fields, while this dynamic requires ‘work to be done’. Popularly stated, things may come as ‘magnetically off’, so that the associated field may still be successful, while one may still accomplish, but it would require special attention. If ‘not what it seems’ appears in the year Pillar, this is indicative for Day Master’s relationship with his society, his country. There may be friction between what he aims for, what he believes, and what he feels may be sufficiently provided by his society. ‘Not what it seems’ to appear in the month Pillar, may indicate deviation from what would be ‘customary’ in one’s family, to draw one’s own plan as to education and career, but also how one would (not) confirm with superiors, or follow up on convention. Day Master is ‘his own man’, to that respect, his ideas not derived, but rather self-sustaining and having originated from within. If ‘not what it seems’ appears in the day Pillar – because the day Pillar is associated with marriage -, it still means that spouses love each other, but their ideas, political views or religious sentiments may not run parallel, or they may be from totally different backgrounds, or aiming for different life dreams. The year 2017 may be strong for Day Master in particular, because You Rooster 酉 year comes as the Symbolic Star known as Heavenly Noble (Tián Yǐ Guì Rén – 天乙貴人) to a Yin Fire Ding Day Master, while this effect may be ‘doubled’, as You Rooster is also ‘General Star’ (Jiàng Xīng – 將星), for political engagement. Someone will come to Day Master’s aid unexpectedly in 2017, but with critical influence as Day Master further achieves his goals. Because You Rooster contains Metal and because Metal is ‘Wealth’ to a Yin Fire Day Master, this aid may be an influential business man, perhaps affiliated with the military. This aspect may be repeated for 2019, because Hai Pig 亥 once more introduces the aspect of Heavenly Noble, which may this time come as a notably authoritative person, but whom feels as a ‘soul mate’. Fire is abundant in this chart. This may lead to flamboyance, accelerated circulation system, while mr. Bakov should be minding his ‘heart rate per minute’, figuratively speaking. Fortunately the strongly influential month Branch Zi Rat 子 provides ample cooling, but it may be better if not mr. Barkov were to spend too long in a banja (баня) and if he went ice swimming (Купание в проруби) regularly. He must be amply drinking his water and be taking regular walks, not just for purpose of health, but to get his mind off his task and to gather new energies to proceed with what he wishes to accomplish. It has been my observation after reviewing hundreds of Bazi charts and people’s life chronologies, that, if a certain Heavenly Stem or Earthly Branch appears in a Bazi birth chart more than once, this may have Day Master ‘wander’ in one single objective a bit too much, until this becomes like navel gazing, while opportunities may then not be noticed or even missed. 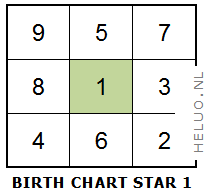 With this feature in a Bazi birth chart, we may caution against Day Master to zoom in too much onto one specific religious or philosophical concept, without feet firmly in the ground. With this feature, it is important to relate everything back to ‘actual fact’ and stay in touch with changing circumstances. Many people with this aspect, may incline to lay emphasize on religious life, but which may at long last lead to a certain disconnection from ‘normal’ goings on ‘out there’ in society. On top of this, Si Snake 巳 to a Yin Fire 丁 Day Master comes as Yang Ren Sword 羊刃, which is not only indicative for rather more flamboyant dynamics, but which tells us that mr. Bakov’s plans may at times be ‘interrupted’ or hampered, as the house front (not just spouse and children, but the larger family such as notably parents) may call him back in, so that he’ll be rendering his support, rather than he’d be able to altogether mind his career. Everyone at all in the field of Four Pillars of Destiny Bazi would have pointed out that Yang Fire Bing 丙 for ‘Unfriendly Parallel’ to a Yin Fire Ding 丁 Day Master functions as ‘Robber of Wealth’. As Yang Fire Bing is contained in the Branch of Si Snake as Major God, we encounter this element twofold. Generally this is regarded an unbeneficial feature, in that, others may come after one’s wealth and assets. We agree that, with this feature, Day Master should partner up with others based in solid arrangements, everything done around contracts. It is good to team up with others, whereas with Rob Wealth, it may happen that farther along the road, and as perhaps partnership discontinued, the ‘other’ may run off with a good portion of our client base, our ideas, our networking, or even our revenues. 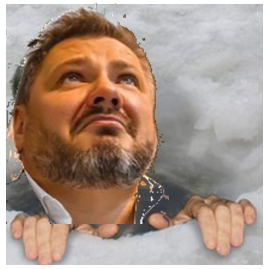 That being said, and while we will be the last one to proclaim that Rob Wealth is altogether ‘wonderful’, the soup may not be eaten as hot as it was served. It has been our observation time and again – then confirmed by clients at almost every instance – that, Day Masters with Rob Wealth may be sure altruists, almost to the point of being a devotee. Said differently, rather than Day Master would feel ‘robbed’, he actually wouldn’t mind – or he may even enjoy – if others reap from his harvest. If you’re in dire trouble, he will come to your aid. It is very limiting, therefore, to be projecting all inauspiciousness onto certain emblems in Bazi, while notably Rob Wealth can make one into a benefactor. Deep down, Day Master believes in – and he has been driven by – equal sharing and a fair distribution of resources for everyone, and such from notably an early age as a child, while he is indeed known for being an advocate for pensioners. Still, Rob Wealth will be regarded unfortunate by most Bazi masters, while it shows the more that we should be reading the actual lives of people, rather not would we go by reading just a birth date, or to step into ‘done deal’ emblems or determinism. Only fortunately so, we can not only establish, but we can actually ‘identify’ just whom then in our lives would represent Rob Wealth, or where to ‘locate’ it. For mr. Bakov, Si Snake to contain Robber of Wealth appears as the year Branch in the year Pillar, so that his country (notably Tax office, or stock market) pulls in a lot of his revenues, or come out to be ‘ticklish’ to concern of his assets, while the year Pillar denotes regions farther from where one resides, including foreign countries, so resources will go there. Si Snake for Rob Wealth furthermore appears as day Branch in the day Pillar, which reads as the marriage Pillar, then furthermore peers. At this point not considering changing monthly Stars, while just we zoom in on the Star configuration in the annual Luoshu for the year 2017, annual Star 8 is in the 3 Wood Luoshu Palace, which in principle reads ‘new beginning in an existing initiative’, which should be usually taken as a fortunate trait. Advanced 9 Ki Divination has it, however, that the marked East-West Luoshu axis also constitutes the annual Reversed Luoshu Axis for the year 2017. 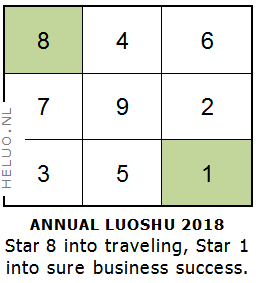 This is basically because, annual Star 3 appears from opposite its original position in Luoshu, while annual Star 8 appears into opposite position. For lack of better wording we say that annual Star 3 for its properties is ‘magnetically off’, while then Star 8 ‘inherites’ the dynamic and may be ‘going nowhere’. 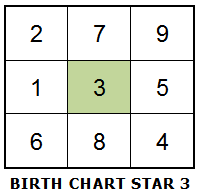 This dynamic may be not known in the field of 9 Stars and Luoshu, but it is not something that may be overlooked, as it may be having significant impact. It means that, mr. Bakov may have been scratching the back of his head in recent times, saying “I have been preparing quite well, I feel all this new energy and inspiration to step into new endeavors, I am doing everything just right and as I always would, while yet everything seems to be slipping through my fingers”. The right approach is, to just go about one’s business and continue one’s pursuits, but that the first attempt into an initiative may fail. We just proceed of course, as still the second attempt may lead to success. The ‘thing’ is, however, that Star 8 natives would have ‘enjoyed’ annual Reversed Luoshu Axis in 2016 just the same, so that mr. Bakov may have experienced this aspect in his efforts last year, then once more this year. Because Star 8 bodes ‘built structures’ (just buildings), real estate, Star 8 natives must be cautious around buildings, property, land in 2017. The annual Star 3 may bode a ‘male’, while it also bodes ‘uniformed personnel’, such as railway personnel and police. Star 3 furthermore bodes electricity, electrically engineered machinery, speculation, notably in the financial market, now with annual Star 3 in the 7 Metal Luoshu Palace for anything monetary. It is not a good year to speculate around finances or investments. On the subject of health, Star 8 natives may note Liver and Gallbladder, nervous system, legs and feet, small bones such as toes, fingers and nose. Star 1 may be minding Kidney, Urine Bladder, blood, lymph and libido. The dynamic of annual Reversed Luoshu Axis can be bypassed, insofar we are able to plan certain initiatives in certain months, with Star 8 better located in Luoshu for a month. 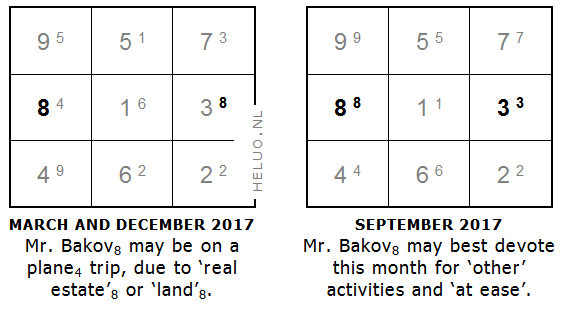 On the other hand (and not considering mr. Bakov’s second Star 1 for month of birth), the months of March, September and December would be months in 2017, where certainly we would restraint from all too important initiatives, as here even the monthly Stars point to the dynamic of Reversed Luoshu Axis. Outside annual Reversed Luoshu Axis, we must caution Star 1 against ‘exposure’ in March and December, so that we’re careful around promotions, interviews, or each time if in contact with the media or as we present to a ‘wider’ audience, as things may become known that rather we would have kept under the carpet. This is because monthly Star 1 is not just in the 9 Fire Luoshu Palace, but it meets up with annual Star 5, which can be notorious and a story in itself. There may be issues to concern of ‘lecturing’ (as one may be actively teaching), ‘spouse’ and ‘homestead’, or ‘hospitalization’. Finally the previous years of 2016 and 2017 with the dynamic of Reversed Luoshu Axis so prominently, are behind us. This will be quite a successful year for Star 8 natives, in particular for mr. Bakov now that his second Star is 1. Star 8 will be much on to airplaine travels now that it ‘sits’ in the 4 Wood Luoshu Palace for the year. The 4 Wood Luoshu Palace is furthermore splendid for documents, the ‘written word’, so that Star 8 natives may shape their documentation and how they promote (including the internet), and be well on to negotiating and signing contracts. Star 1 in the 6 Metal Luoshu Palace may read ‘business expands’, while the 6 Metal Palace is notably good then also on autonomy, authority, leadership, management and strategic planning, while people may come to support as they have an almost immediate faith in our ideas, capacities and moral standards. The traditional Chinese art of Flying Star Feng Shui (Фэн-шуй Летящих Звезд) prescribes that Mountain and Water are on order, to begin with how environmental features arrange. To establish autonomy and prosperous human relationships, it should be secured that the islands sustain mountains. Since there aren’t any elevations to speak of, it is advisable to create artificial mountain, then construct a settlement around it, based in the so-called Armchair Setting, everything in accordance then furthermore with the 20-year Feng Shui construction Period. The Principle of ‘Water’ much transcends notions of just H2O in Flying Star Feng Shui, as it is a Principle of Qi, and it is to manage ‘monetary prosperity’, ‘opportunities’ and ‘events’. Whereas if there is a lack of ‘Mountain’ (elevations that can protect settlements where humans seek to thrive), matters to concern of relationships, projects, interaction and health may become an issue. Any built structure constructed in Feng Shui Period 8 (2004-2024) would have this Time Chart, which would prescribe Mountain to the Northeast, Water to the Southwest, whereas the upcoming Feng Shui Period 9 (2024-2044) would prescribe Mountain to the South, then Water to the North. It is imperative that important buildings should acquire a favorable Flying Star chart (Карта Летящих звезд), due to construction period and compass orientation, which chart would consist of 27 Stars in all for each individual building, but too involved to be explaining here. 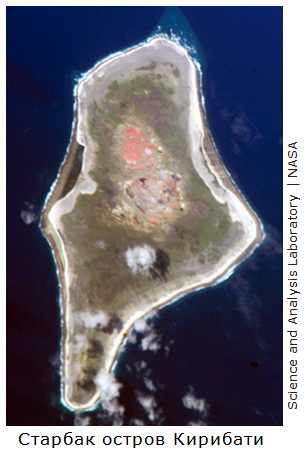 If the Empire would host political buildings, Caroline island would be the least appropriate candidate from a perspective of Chinese Feng Shui, as not only is it an island, but most ‘inland’ contains water. This would be more appropriate for tourist functions, sports, or other ‘wealth’ and ‘leisure’ areas. Heluo took a dive into Oriental metaphysics in 1973 to never look back. This was after he had himself excused from school, as he no longer could bear to endure all the limited – often false – information. As already he had skipped school twice a week, to spend the entire day at the city library to study, this now enabled him to spend 4 full days per week at the city library, where he studied into law, business strategy, management, psychology, human behavior, anthropology, physiology, esoterics, Oriental metaphysics, Japanese Bushido, Macrobiotics, transactional analysis. This was inspired mainly, as he had done a major discovery pertaining to human behavior and planetary evolution at the dear age of 10 years, from which he gradually developed his Zheng Shen Dao 正神道 (Art of True Spirit), and Course Guidance existential counseling. After having trained in the Korean art of Taekwondo since 1973, he then started his martial arts school (Школа боевых искусств) in 1979. He was Dutch National Champion style forms, Dutch National Champion breaking technique, semi-finalist at the World Championships Taekwondo in Leicester UK in 1988, while his students won 12 National titles and 3 International titles. Besides instructing sports classes on the warrior-monk tract, Heluo has been active as an existential coach and mentor to people with dire tribulations, such as psychosis, suicidal tendencies and harddrug addiction. He transmitted his successful dojo to an assistant in 1997, so that he could fully devote to his current study program ‘Professional Destiny Consultant’ in 4 topics of study. Students, colleagues and Chinese masters from 35 countries trained with Heluo, while he has conducted classes in Belgium, Brazil, Canada, Hong Kong, Poland, Portugal, Russian Federation (Perm, Berezniki, Moscow, St. Petersburg), United Kingdom and USA. He lives in The Netherlands with his Russian wife and their 2 sons and they travel to Russia regularly on family visits.